Elsie has been dribbling since she was about eight weeks old and there is still no sign of any toothy pegs. It gets everywhere. All over her hands, her toys, my hair. I’m expecting a full set of shiny nashers before she’s one with the amount she dribbles. 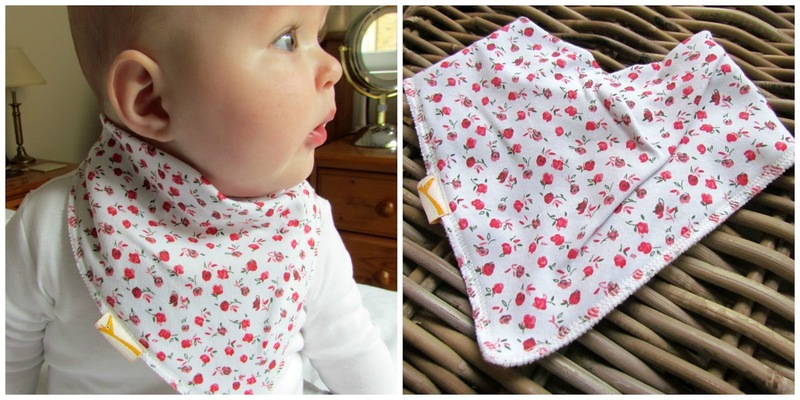 The only plus side to all this slobber is the excuse to purchase lots of lovely bibs to mop her soggy chin. So when Funky Giraffe Bibs got in touch and asked if Elsie would like to try out their range of dribble wipers we were thrilled to discover a new brand that offers cool accessories for little ones. Funky Giraffe set out to put the fun back into dressing your baby and they certainly live up to their name. 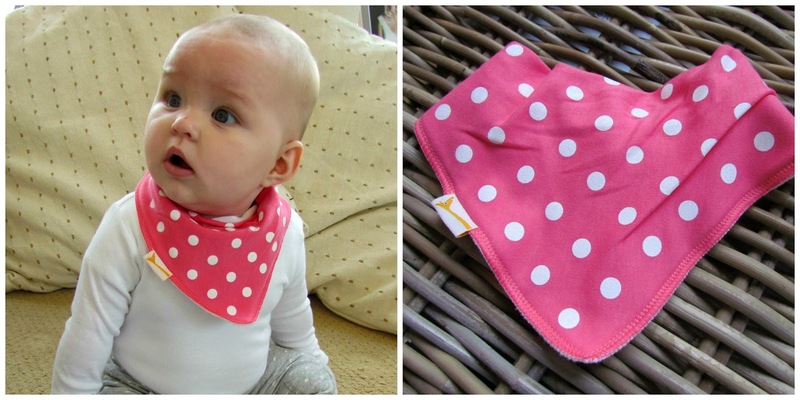 They offer funky and unique accessories for babies, including bibs, burp cloths, socks and even scarves in an array of brilliantly fun colours and designs, all sensibly priced starting from as little as £2.00 a bib depending on material and style. 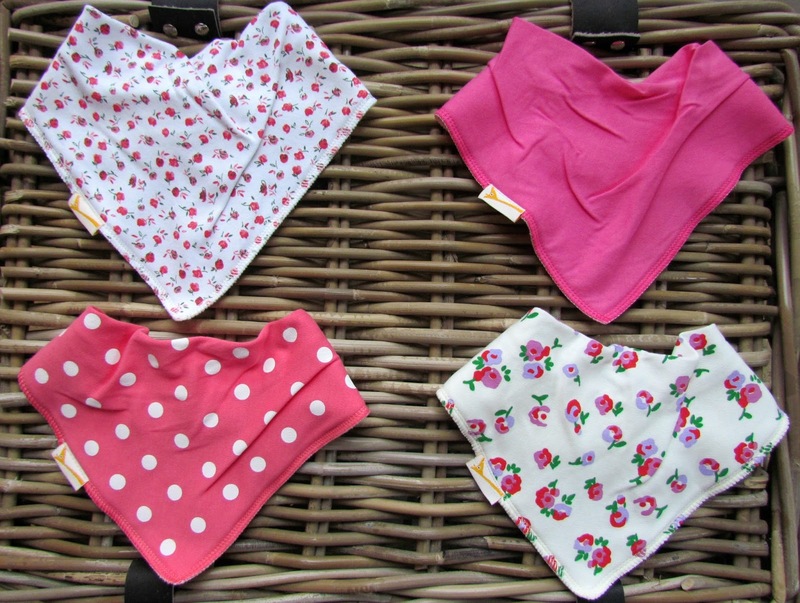 We chose a selection of girly bandana bibs ranging from pink and cream spots, to pretty floral designs. 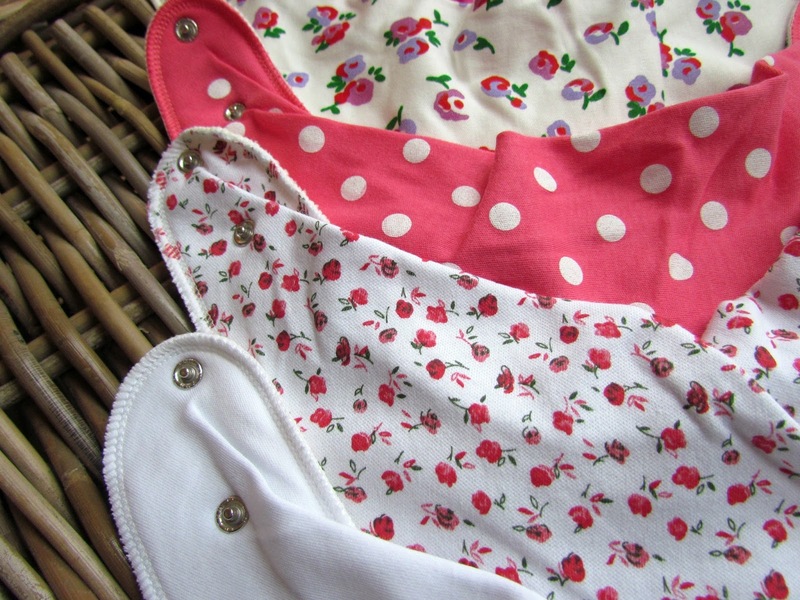 The quality of the bibs are fantastic. 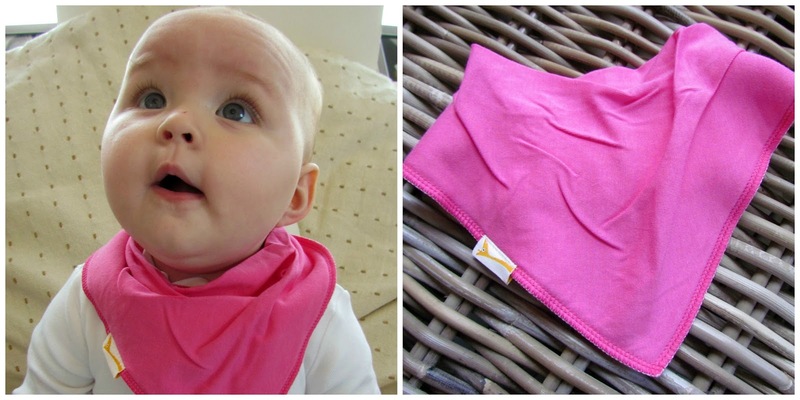 Made with 100% cotton, each bib is lined for extra protection ready to absorb a whole lot of dribble. They are machine washable and tumble dryer safe too. Sweet. Delivery is super fast too so perfect if you are purchasing for a gift or special occasion. 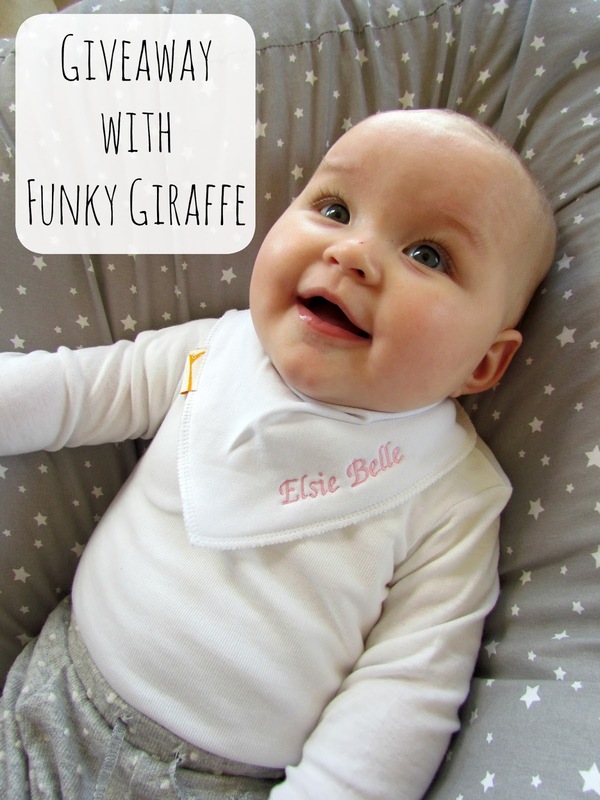 Funky Giraffe bibs are available worldwide too with sites over in Australia and USA. My favourite aspect about Funky Giraffe is the personalised bib option. 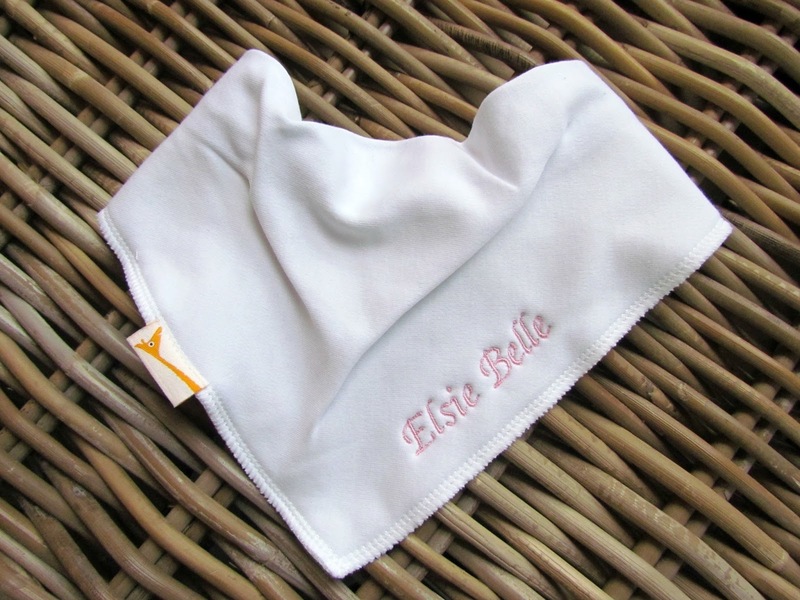 You can personalise a huge range of cotton bibs from just £5.00 and it was so easy to do, given the choice of text, position, colour and font. 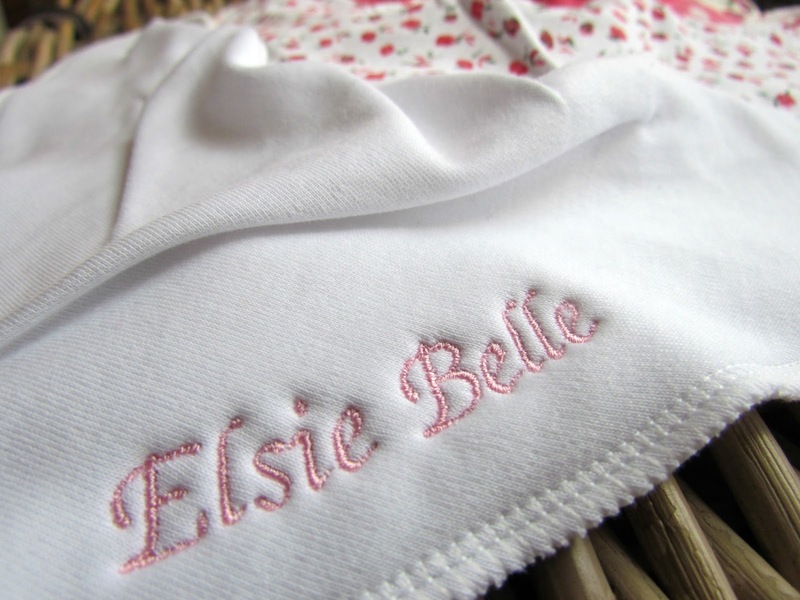 We absolutely love Elsie’s named bib and I will definitely be purchasing more personalised bibs for family and friend’s little ones when they arrive, or as a birthday gift. 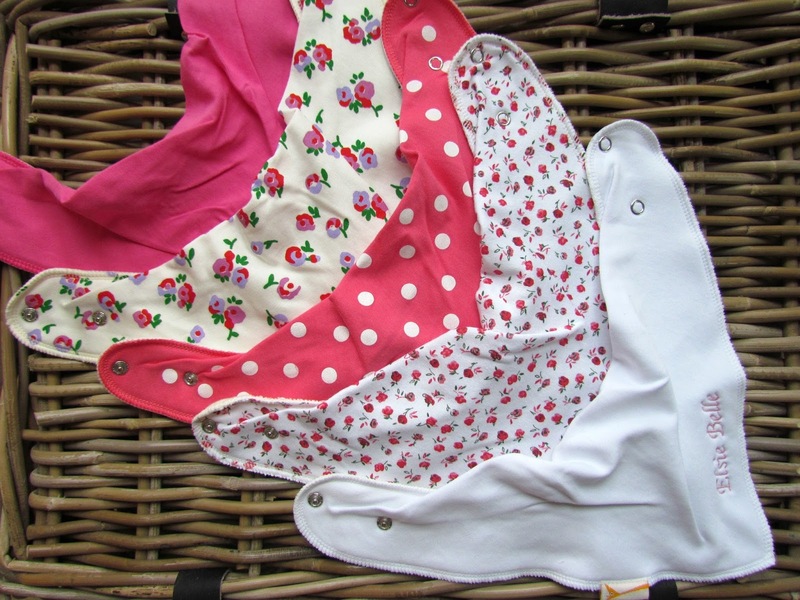 The lovely peeps over at Giraffe Bibs would love to give one lucky Enchanting Blog reader the chance to win seven bibs of your choice from their range. All you have to do to be in with a chance of winning is use the Rafflecopter below to enter…good luck! 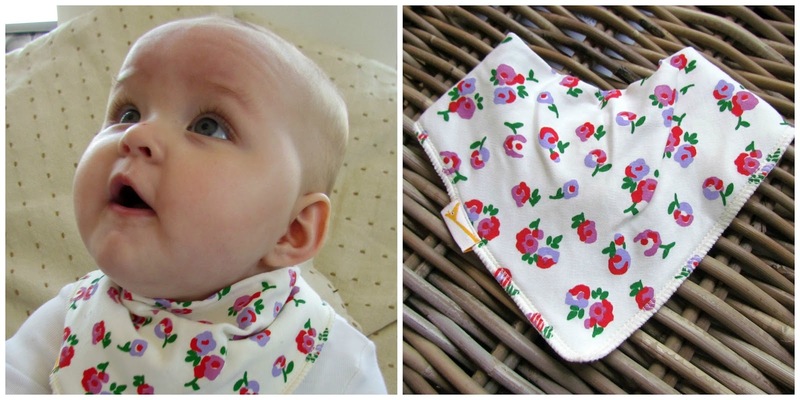 Disclosure: I was kindly sent the featured bibs to review. As always all opinions are my own and have not been influenced in any way. The prize is a voucher to choose 7 x bibs from Funky Giraffe. Entries: Each reader can enter up to five times using the Rafflecopter, by The Enchanting Blog’s Facebook page and following The Enchanting Blog on Twitter, follow Funky Giraffe on Facebook and Twitter or tweet about the giveaway. For those of you already liking and following you will aromatically get a free entry. UK Entrants only. Apologies to my overseas readers. Competition closes on 22nd March 2016 12.00am. The Enchanting Blog reserves the right to change or alter the prize should it be necessary. The Enchanting Blog’s decision is final. Firm, but fair.